T3 slot design consists of a precise array of slots that have been formulated using the latest in computer aided engineering design software and extensive on-road and race track tests. The result is an amazingly quieter, responsive and smoother brake pedal feel. 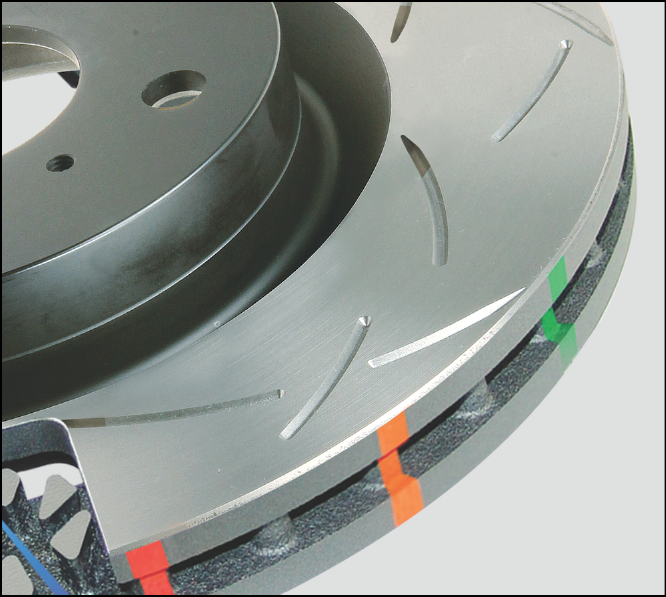 This is achieved from a series of tri-symmetrical 'curved' slots, which when aligned in a specific way, drastically dampen the vibration harmonics or noise, that's commonly associated with traditional straight slot (groove) brake rotor designs.